In his “Welcome to the 2017-2018 Academic Year” email, President Roth announced a number of updates on the University. These included the appointment of Frank B. Weeks as Visiting Professor of Theater and Kathleen Conlin as the Theater Department Chair, the opening of the campus Resource Center, and the Albritton Center for the Study of Public Life’s work on a Civic Action Plan to guide the University’s relationship with Middletown. He also confirmed that the University is preparing for upcoming projects on major facilities. “We have begun preparations for some major facilities projects, beginning with the Film Studies [building], the CFA [Center for the Arts] and the PAC [Public Affairs Center],” Roth wrote. “We are also starting long-range planning for a new science building,” Roth wrote. These projects are part of a 10-to-15 year response to a 2015 report by design and consulting firms Sasaki Associates, Inc. and Eastley & Partners, which established five principles for campus development. 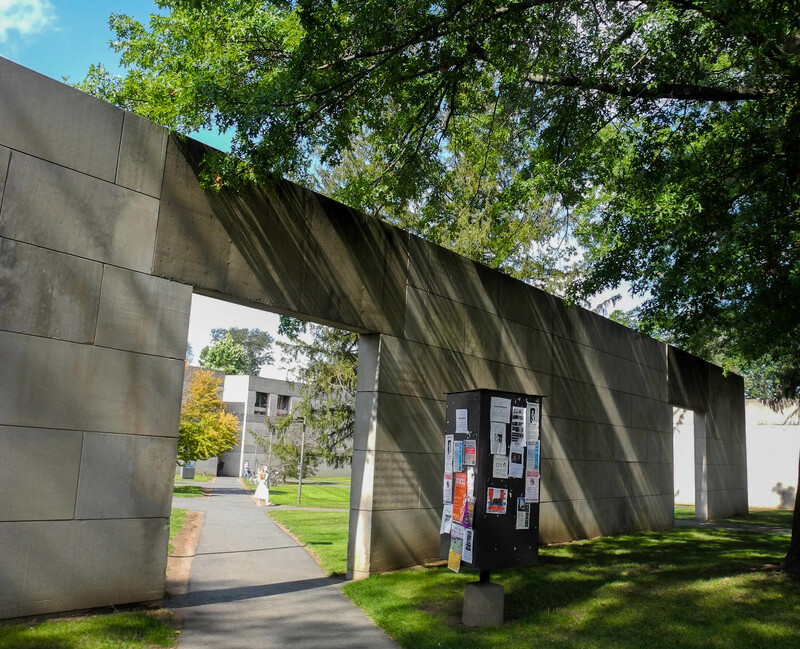 The proposed changes to the Film Studies building, the CFA, and the PAC rose to the top of a list of projects designed around these principles. Director of Physical Plant Alan Rubacha shed light on the status of each of these projects. Rubacha shared that this first step will be completed in the spring of 2018. He also provided information on plans to renovate the PAC. Since the PAC is one of the most-used buildings on campus, renovating the building is a top priority of the University. 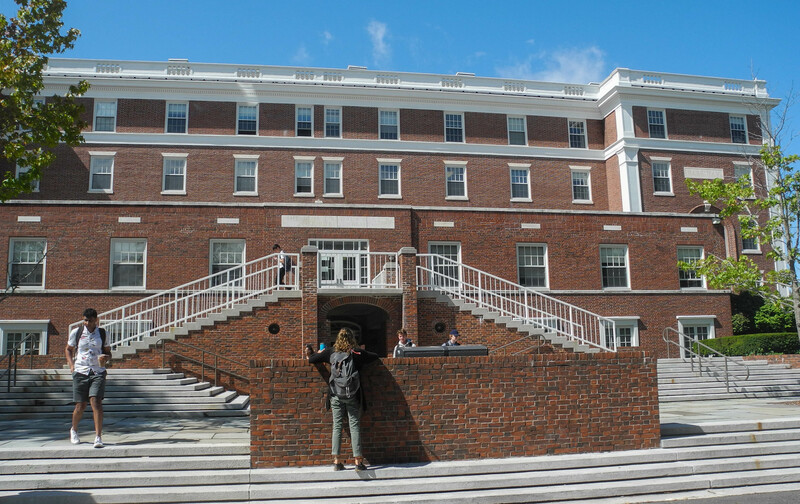 However, just as with the Film Studies building, the University had to first evaluate the existing structure before beginning to plan any renovations or additions. Architects can now decide what changes they can make to the PAC’s existing classroom and office space. The University hopes to have a set of plan concepts later this fall and a total project cost estimate in the spring. The CFA project mentioned in Roth’s email involves moving classroom space to the basement of Olin. As with the other two projects, the University hopes to have a design and cost estimate by the spring. Rubacha confirmed Roth’s statement about a new science center being in the works, but he stressed the “long-range” nature of the project. Rubacha also stressed that these facilities projects depend on the University’s future fundraising efforts. The new fundraising campaign that Roth mentioned in his email will be crucial to the progression of these projects. Vice President of University Relations Barbara-Jan Wilson commented on the University’s plans to begin a new campaign but made clear that the campaign is still in its preliminary stages. Wilson also highlighted the success of the THIS IS WHY campaign, which raised $482 million in 2016, and commented on how this massive effort will inform the University’s future fundraising efforts. Wilson expressed optimism about the new campaign, even though it is in its early stages.